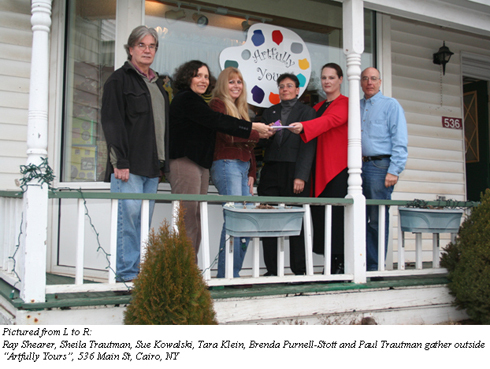 The Windham Arts Alliance recently teamed up with �Artfully Yours� store owner, Theresa Corrigan, for a very important cause; together, they presented to Northeast Parent and Child Society representatives Tara Klein (Supervisor) and Brenda Purell-Stott (Green County Recruiter) a check and gift certificate to buy art materials for several talented and expressive young people in their unique care. 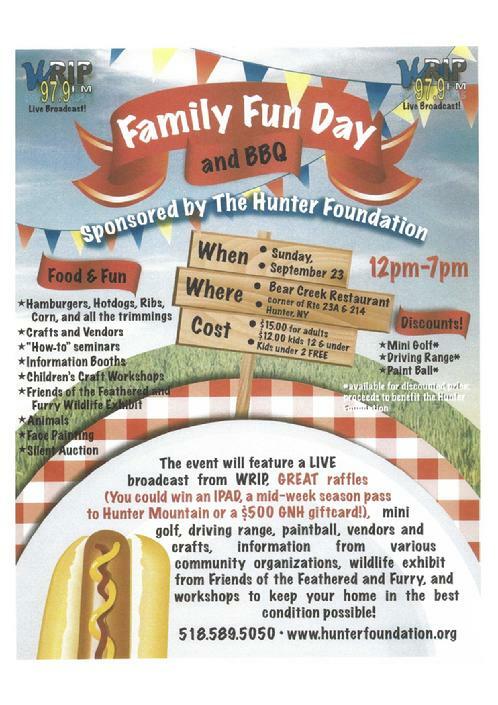 The Northeast Parent and Child Society is more than just a foster care agency. Its focus is to provide therapeutic foster care in an environment where children develop to their potential; where they are nurtured and get what they need to succeed and grow into responsible adults, who are able to make positive contributions to family and society. 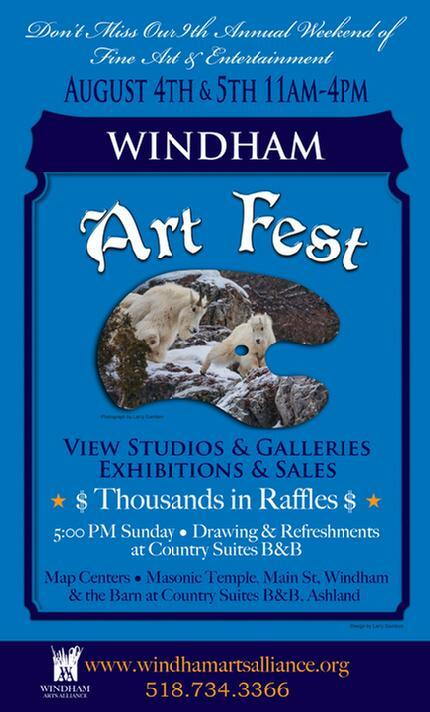 �We certainly appreciate the generosity of the Windham Arts Alliance and Artfully Yours for making this possible,� said Tara Klein. There is still a critical shortage of foster homes. 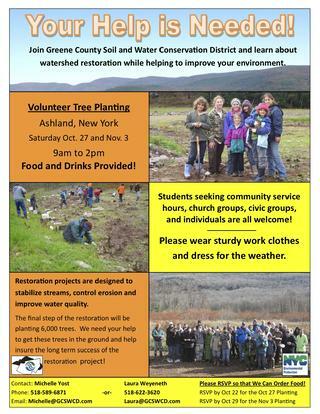 If you would like more information, please call (518) 671-6755. 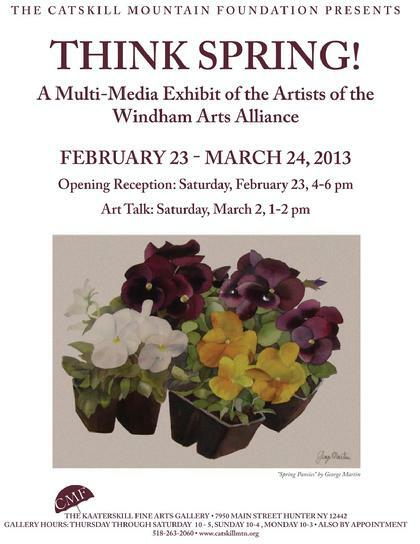 Look for future information and an invitation to a showing of the student's wonderful work. 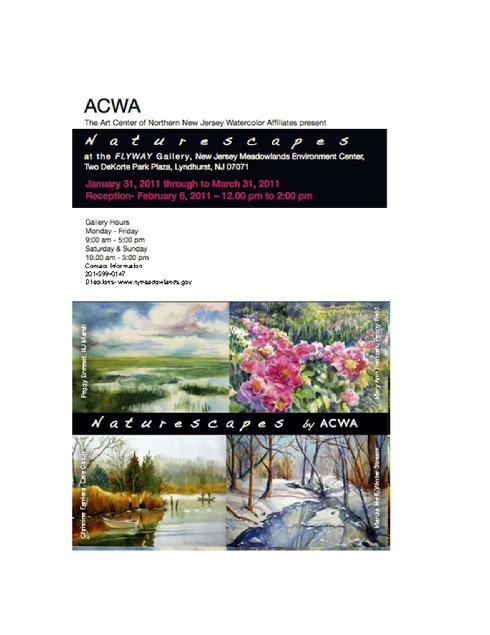 We are looking forward to displaying their creative works. 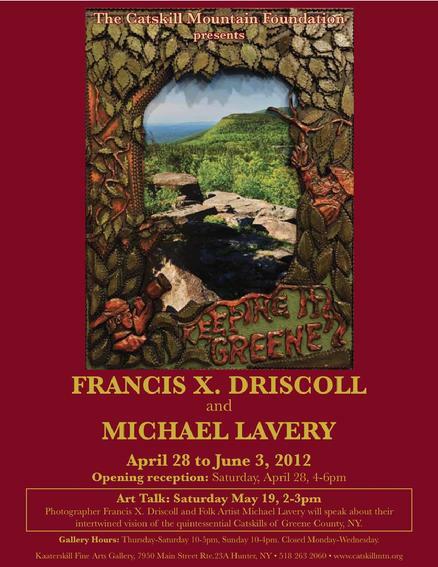 "Journeys in Clay- Contemporary Ceramics 2009"
Friday, May 22 from 4-6 pm. 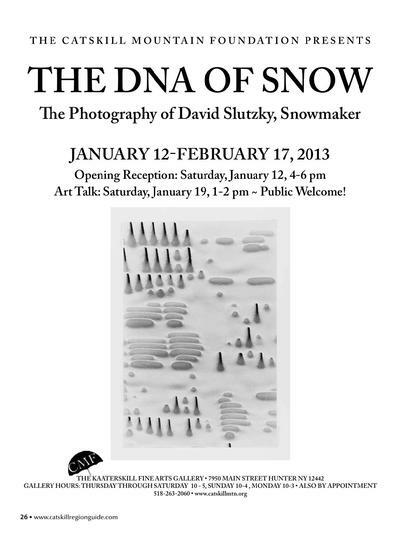 David Slutzsky and Joyce Arons Beymers . 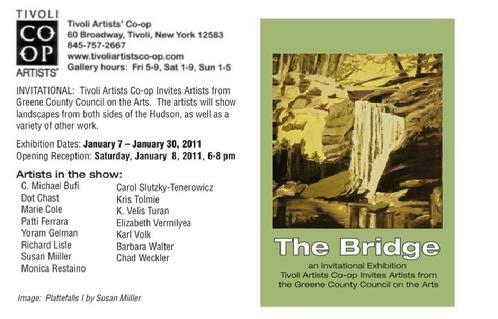 David Slutsky, a multi talented artist from Hunter, NY, works primarily with ink and is presenting his grouping of trains. His love of trains is evident in these beautiful works. 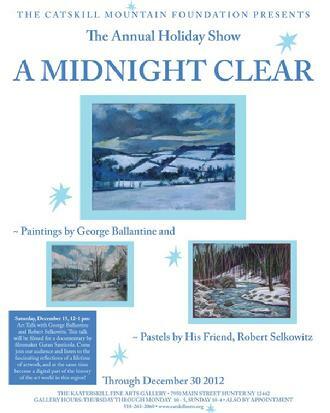 Joyce Arons Beymer, one of Woodstock NY�s talented resident artists, demonstrates a passion for planes with some of her most beautiful works evoking the romance of America�s barnstorming era of aviation. 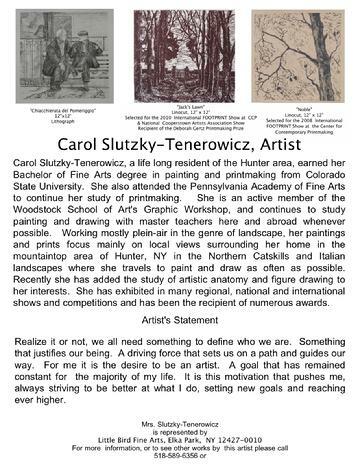 David Slutsky�s work fits in so well with Joyce Beymers artwork that we are proud to have this exhibit here in our office in Windham. from December 1 to 31, 2009. 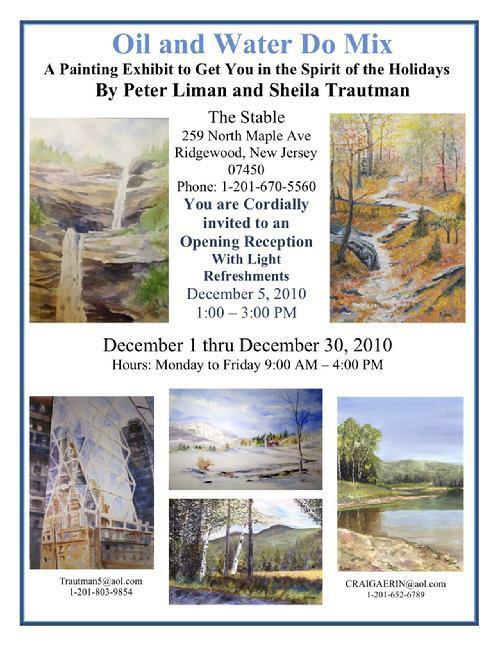 The reception is December 6 from 2 to 4 PM. 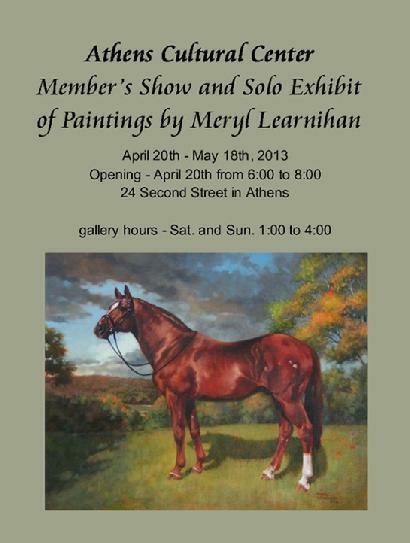 The Stable Gallery is at at the corner of North Maple Avenue and East Glen Avenue (201.670.5560). 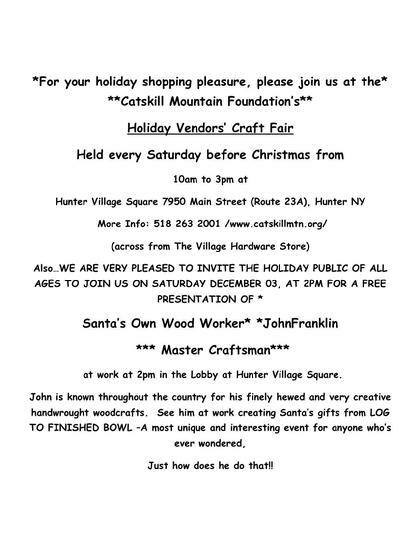 Come join Tina this Saturday for some Holiday shopping at the Kaaterskill Gallery Craft Fair, in the Catskill Foundation on Main Street in Hunter NY (Rte. 23A)! 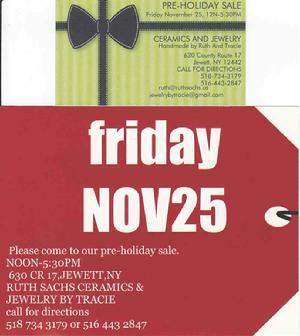 She will have many gift items for sale that come with a pouch or gift box. Prices to fit everyone's budget starting at $15.00. In addition to her semi-precious gem designs, there will be a large range of fun beads and stretch bracelets. 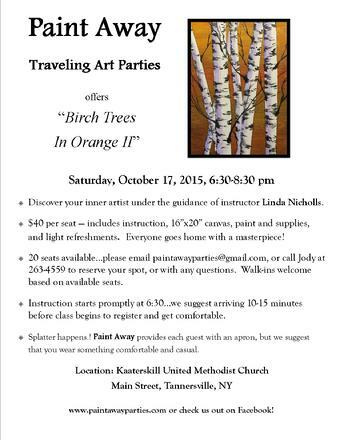 For more information, check out Tina's website. 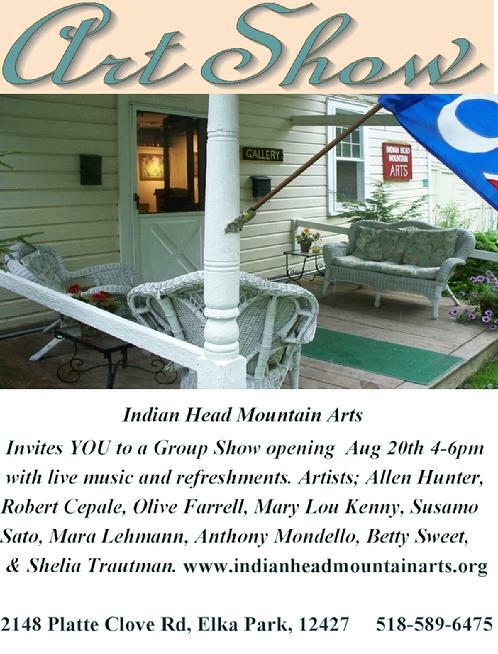 The Windham Arts Alliance wants to welcome this new, innovative school to our Mountain Top community. This summer we encourage you to take advantage of the talented instructors who are teaching at Banner Hill. The courses include all aspects of working with clay, pottery and ceramics, as well as woodworking. For more information, contact the school directly or go on their wonderful website. 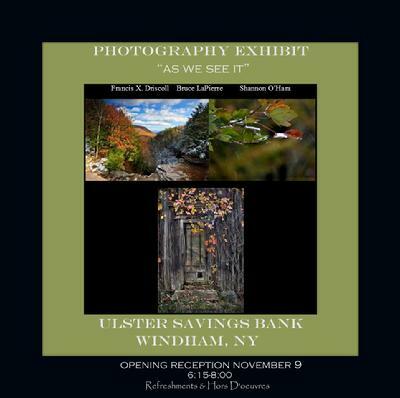 Banner Hill is located at 741 Mill Street, Windham, NY 12496 (518.929.7821) BannerHillWindham@mac.com. 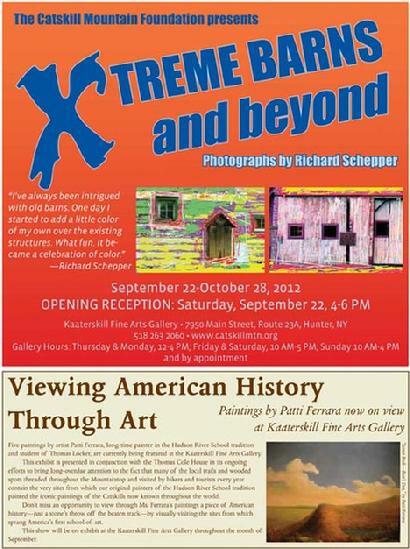 The exhibit will be available for public viewing through Friday, September 3rd. Robert Cepale, a Historic Americana Artist, attended Pratt Institute and studied Rembrandt technique at the Huntington Art League. 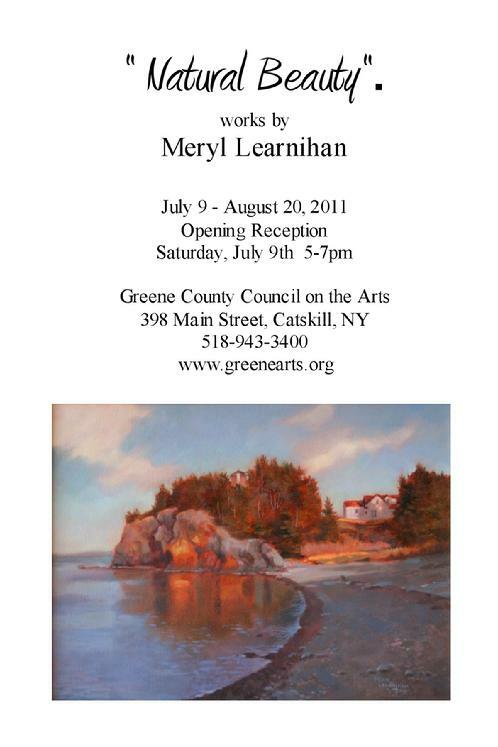 Mr. Cepale�s work caught the attention of the U.S. Military Academy at West Point, where he exhibited 48 paintings and has a Civil War � themed painting on permanent display. He received the Commandants of Cadets Award for Excellence. 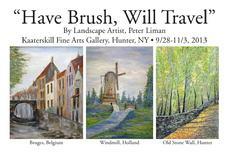 His art has appeared at the Huguenot Museum in New Paltz and images of his work are in the permanent collection of the American Folk Art Museum Library. 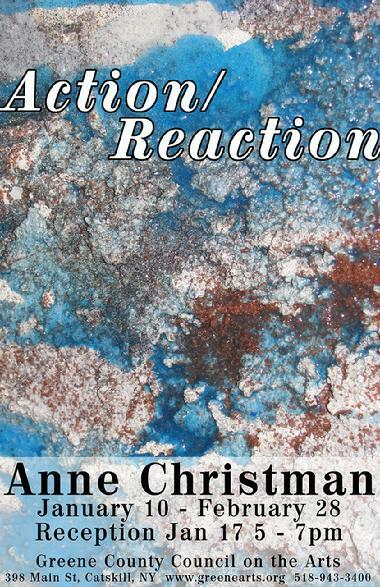 Anne Martin Jakubowski, a Rockaway Beach native, began her love of photography at an early age. 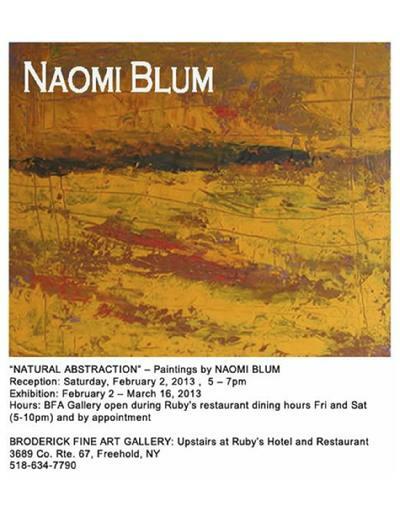 She was inspired by the local beauty while spending weekends in the mountains with her family. Photography was a way for her to capture the moment and keep the memory alive. 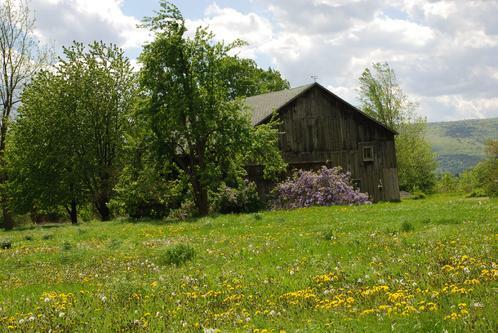 Mrs. Jakubowski moved to the mountains in 1991 where she met and married her husband and has since settled in the beautiful hamlet of Maplecrest. The Pleshakov Piano Museum will be opening to the public on Wednesday, June 2nd to show off their fine collection of antique pianos. 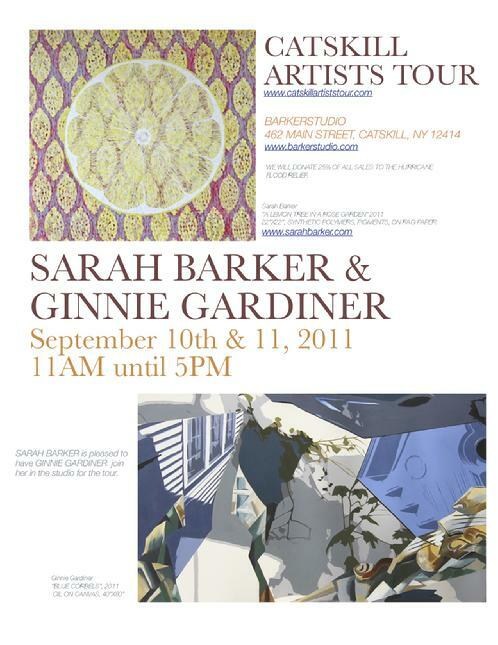 It will be open thereafter on Wednesdays, Fridays and Saturdays, from 12 - 4, with docent tours at 1 and 3 pm. Here is a chance to experience a true chartered museum, a collection that takes you back in time when the piano was a major means of entertainment. 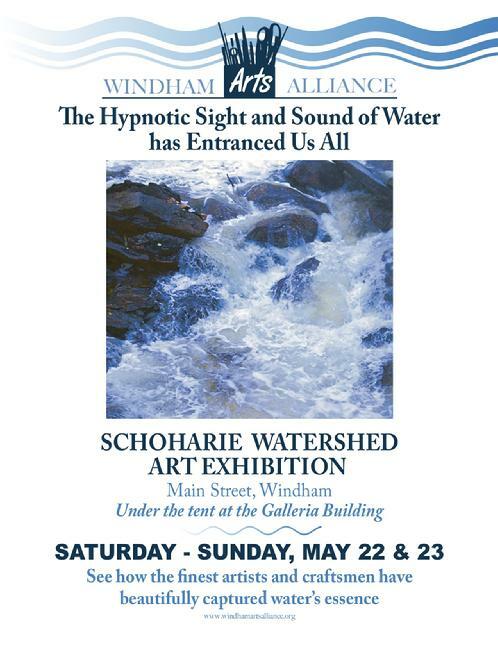 On May 22, 23, the Windham Arts Alliance will be a large part of the first annual Schoharie Watershed Festival, closing out a weeklong celebration of the excellent water this area provides for ourselves and New York City. 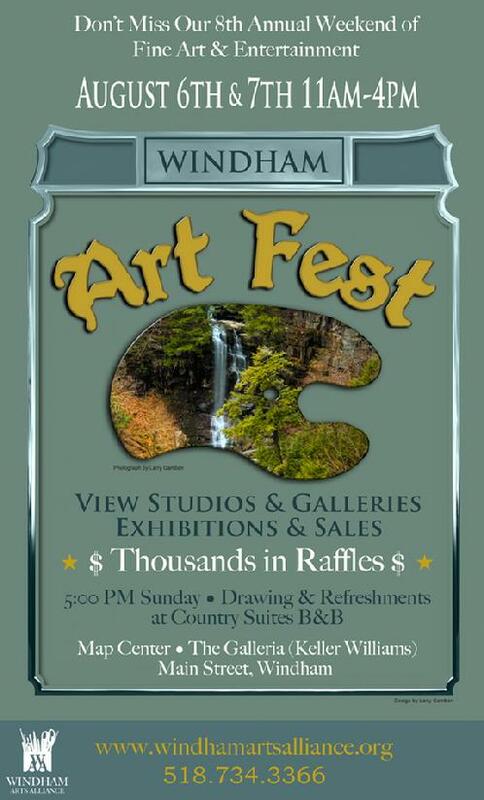 It starts on Saturday, the 15th, with a tour of the Gilboa dam, a recent superfund site, followed by classes that teach us to treat our water with respect, including a scavenger hunt and a stream clean-up, a family and rain barrel day, a spring fling fundraiser and finally, a wonderful art show by the Windham Arts Alliance under a tent at the Galleria building on Main Street Windham. 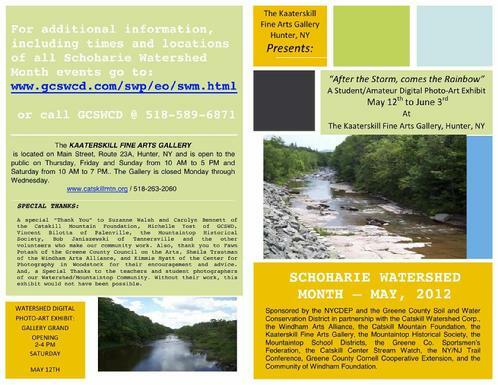 Pick up a schedule rack card available all over the towns whose water feeds the Schoharie Reservoir and learn and enjoy. 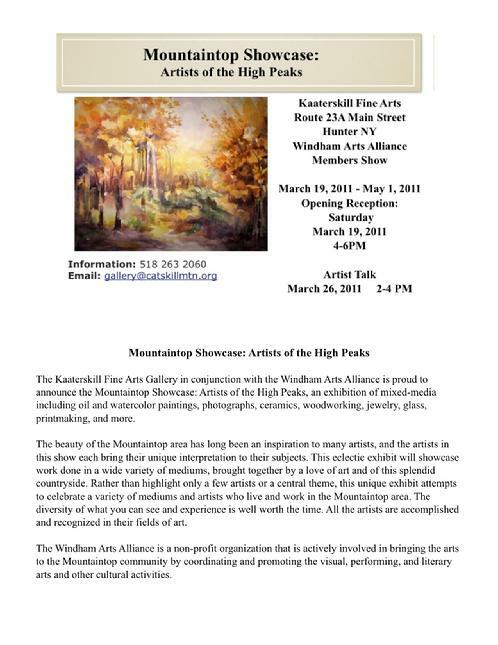 The Arts Alliance has gathered together some of the top mountaintop artists, who have captured the spirit of that captivating essential, water. 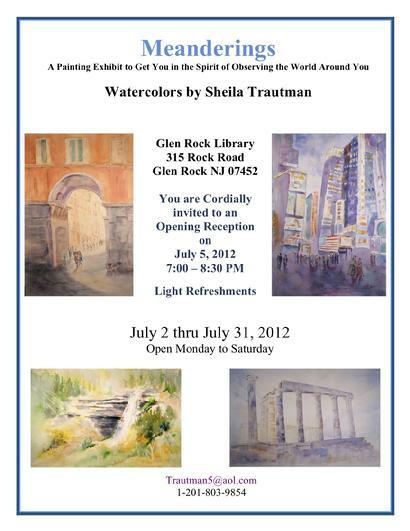 That theme is echoed in all the art and photography shown, in ways that will appeal to any who have ever had a glassful. 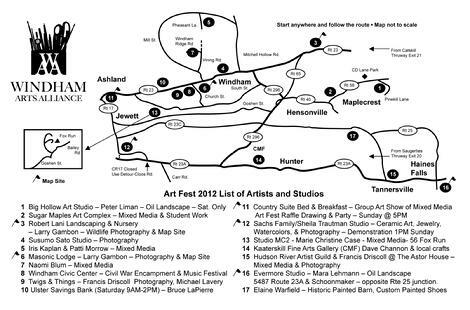 The hours for the outdoor art show are 12 � 4, Saturday and Sunday. 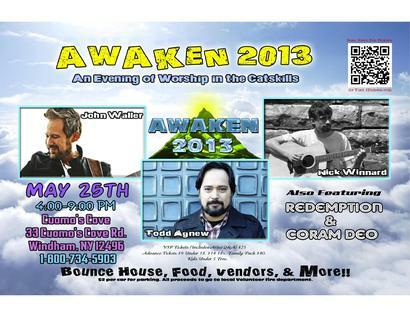 We will have food and music for all to enjoy. 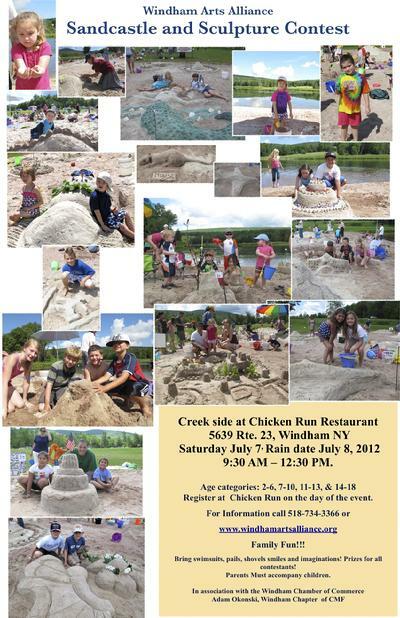 The event is indoors and takes place rain or shine. 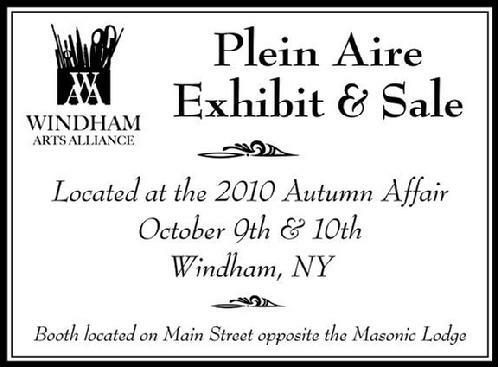 Admission to the grounds are free. 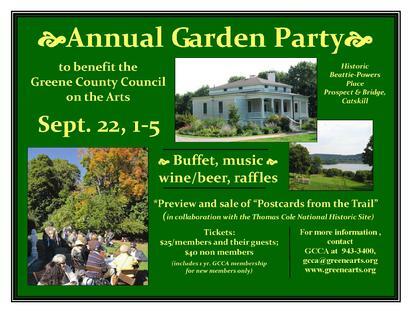 For a fee there will be a sampling of wines & microbrews of the Hudson Valley, New York State & more. Look at the Hunter Mtn. website for more information. October 9th thru December 9th 2010. 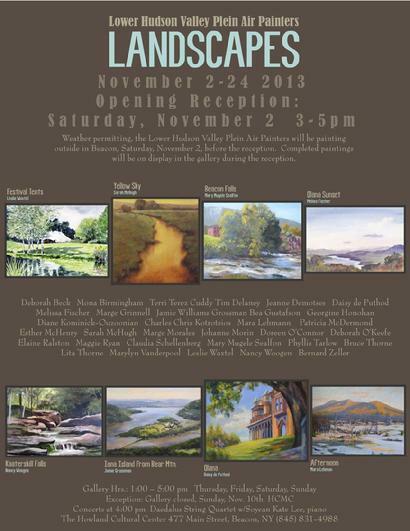 Artist Reception October 9th from 4PM to 6PM. 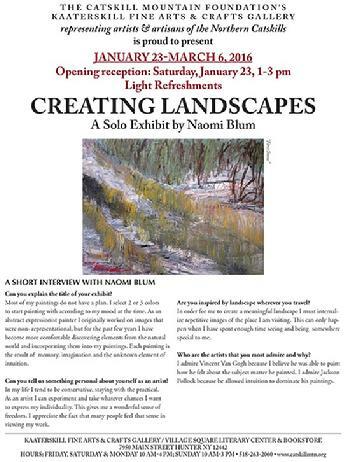 Come and meet the artist ! 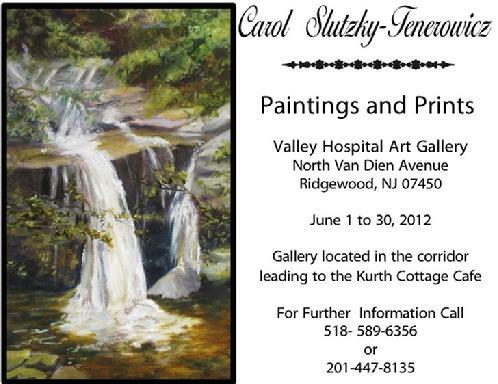 Karen F. Rhodes will have an exhibit, "Watercolors of the Catskills"
Saturday, October 9th from 4 to 6 PM. 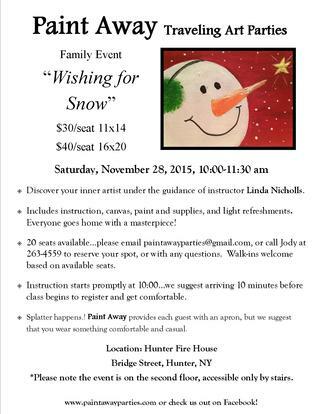 You can contact the Astor House at 518-589-9500 for further information. The Astor House is a unique gift shop and offers coffee and baked goods. are very important for the arts. 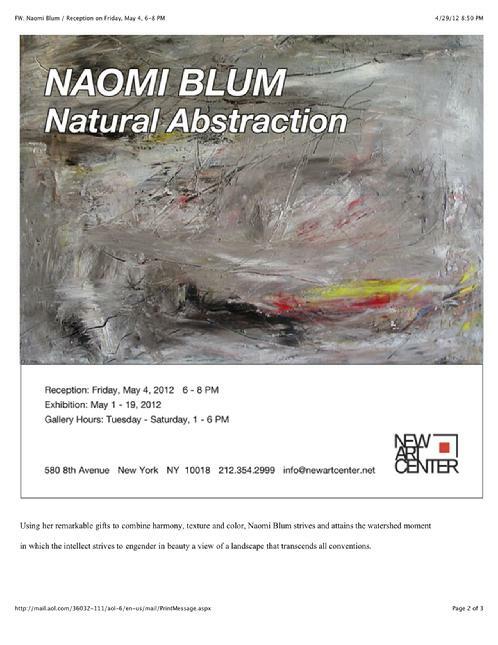 Come and see what is going on. 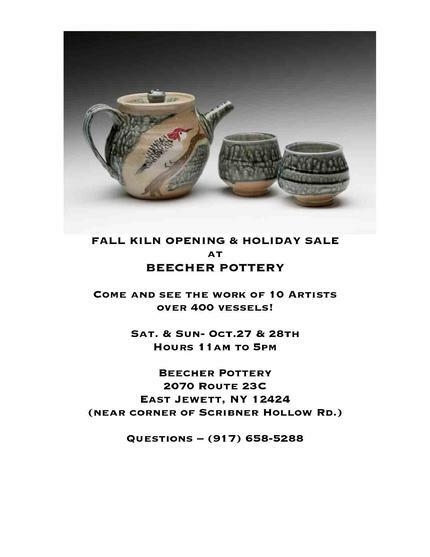 Hours: Monday, Thursday, Friday 10 am - 5 pm, Saturday 10 am � 7 pm, Sunday 11 am � 5 pm. 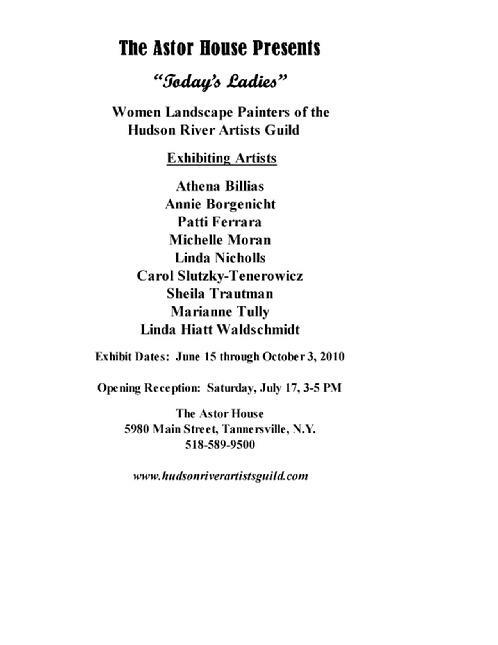 A group of four Catskill Region artists who generally paint from Artists' Rock to Platte Clove to Olana to Kaaterskill Falls travelled in the spring of 2010 to paint on location in the beautiful hilltown of Barga, a medieval walled city about 20 miles north of Lucca, Italy. They brought back with them a range of sketches in pencil, oil and pastel. 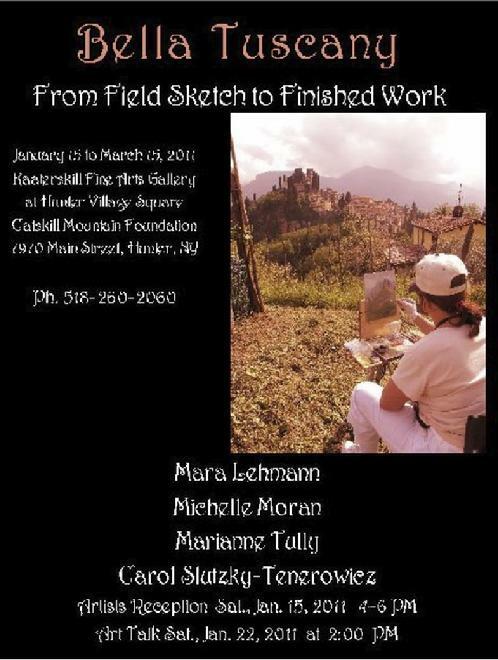 These sketches then became the foundation for finished works of art, which will be exhibited at the Kaaterskill Gallery starting January 15, 2011 and continuing through March 15. 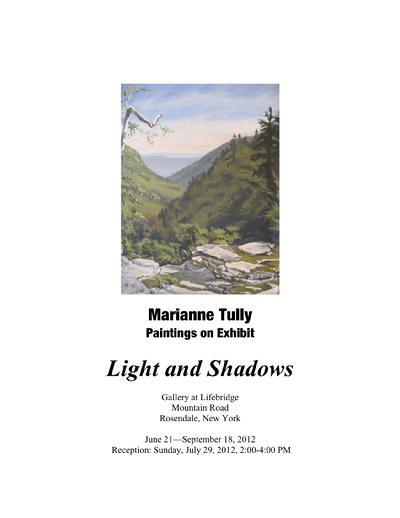 The four exhibitors include some of the Catskill Region's most beloved landscape painters: Mara Lehmann from Haines Falls, Michelle Moran from Woodstock, Carol Slutzky-Tenerowicz from Elka Park and Marianne Tully from Stone Ridge. 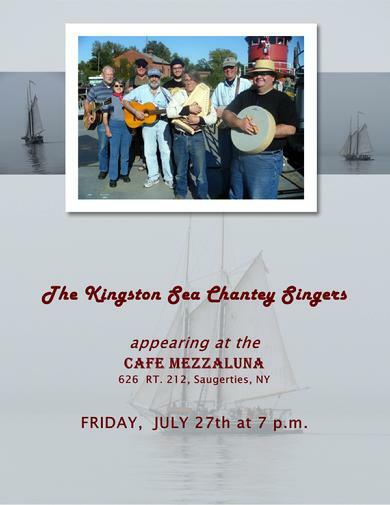 268 Fair Street, Kingston, N.Y.
host an "Open Chantey Sing"
Route 212 between Saugerties and Woodstock. Come to listen, come to sing along, come to lead a song. 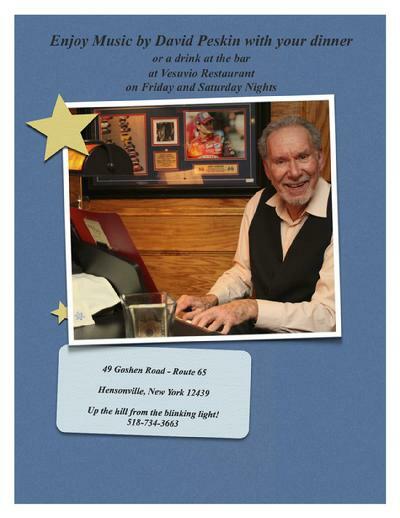 David Peskin is playing the piano on Friday and Saturday Nights at Vesuvio's Restaurant in Hensonville NY. 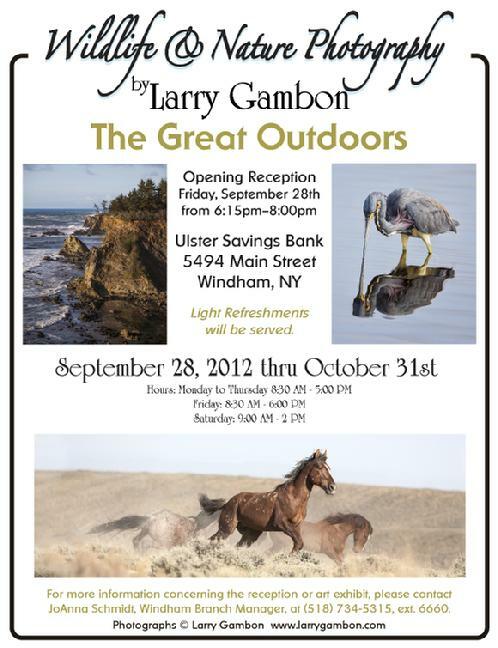 Please come and enjoy a delightful evening of good food and entertainment. Hours: Wednesday-Friday 10 am - 5 pm, Saturday 10 am � 7 pm, Sunday 1 pm � 5 pm. Now in its third year, ART 21 x 3 will feature over 50 pieces of art in several media, created by students between the ages of 16-21 under the supervision of their art teachers. 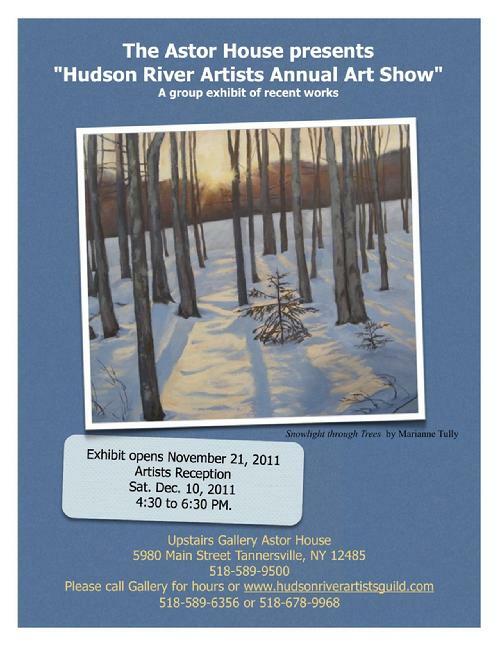 The exhibit will once again contain artworks by creative Hunter-Tannersville Central School students under the supervision of art teacher, Rita Mary Vining. 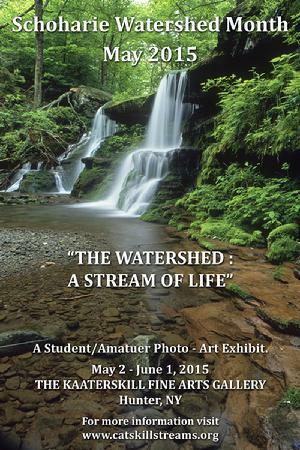 This year, the Kaaterskill Gallery is pleased to announce that students of Windham-Ashland-Jewett Central School under the supervision of art teacher Dan Yolen and Cairo-Durham Central School students under the supervision of Anthony Taibi will also be on display. 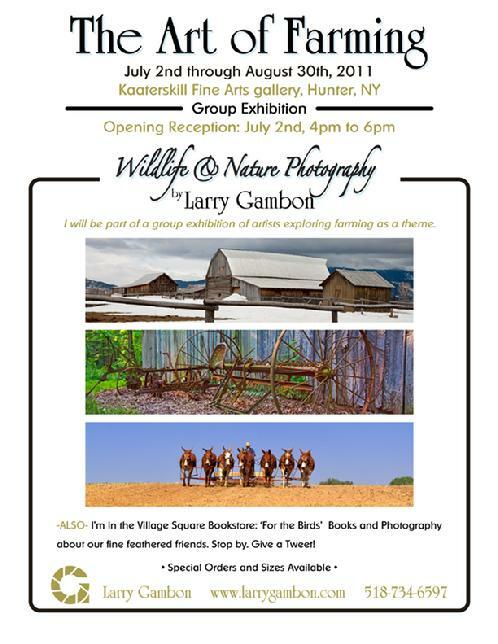 The Kaaterskill Fine Arts Gallery Director, Laureen Priputen, expressed enthusiasm for the growing popularity of this annual show. "These young artists are our future," Laureen said. "Some of them may actually go on to be artists; most will not. 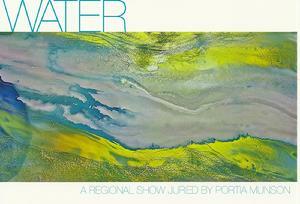 However, all of them will gain a greater appreciation of arts and culture through participation in this show. 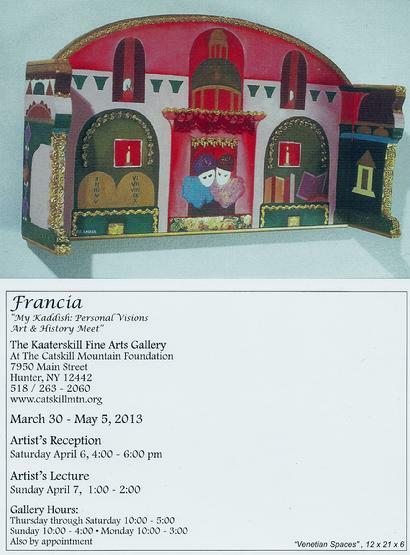 This is a fabulous showcase for local students and art educators alike." Summer's bounty giving way to rusting dormancy. But, first, a flamboyant burst of exquisite ecstasy . Nor be forgotten through hushed extinction. A single leaf, color flamed, then a-riot. Dazzle the eye in glorious array. All have funneled into protected coves. And all, gathered into earth's welcoming bosom. 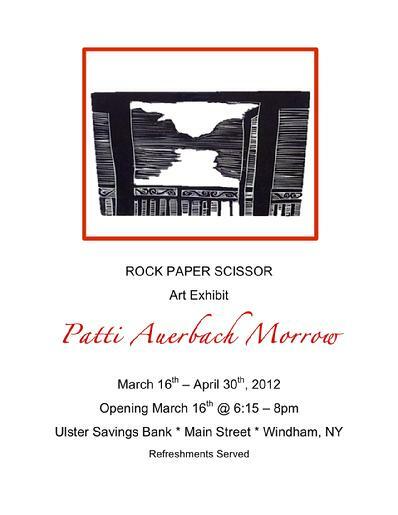 Opening Reception, Sat., March 3, 5-7 p.m. They lived their lives more right than wrong. Life in the Catskills surrounded by the majestic mountain peaks Kaaterskill Falls, rivers, lakes and creeks is a joy to behold as horse and buggy roamed the countryside. The laughter of a family and kids enjoying a relaxing hayride. 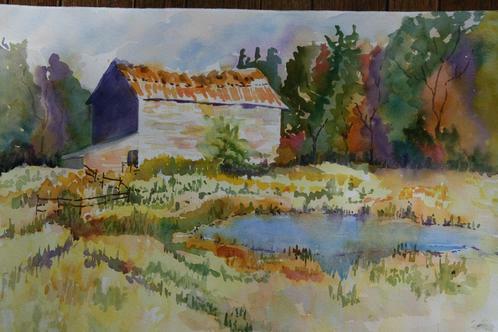 The sounds of the country was like a symphony of its own. The moos of the cows, the oinks and chirps would set the tone. The sound of the anvil from the village blacksmith shop. Birds in the trees singing their songs way up on top. A Ferry boat cruising along the Hudson River and honking it's foghorn. An unwelcome rooster's awakening call so early in the morn. Hush a minute. Listen. Can you hear the train whistle from afar? And then it is suddenly upon you, roaring by car by car. The seasons in the country responding to nature's call. The glistening yellow-orange, red and bronze leaves of Fall. The young buds on the trees announcing the start of Spring. Winter sleigh rides. Hear the jingle bells ring. Hot summers sitting on the front porch hoping for a breeze. 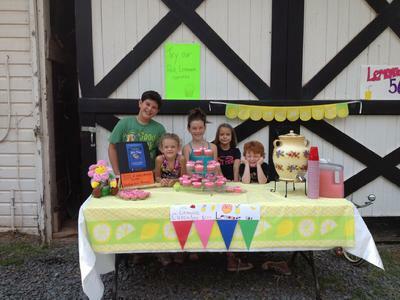 Sharing cold lemonade with neighbors that mom would fresh squeeze. This was the country for sunrises, sunsets, and heavy windy rain. Not easy for wagons to make it through the muddy terrain. 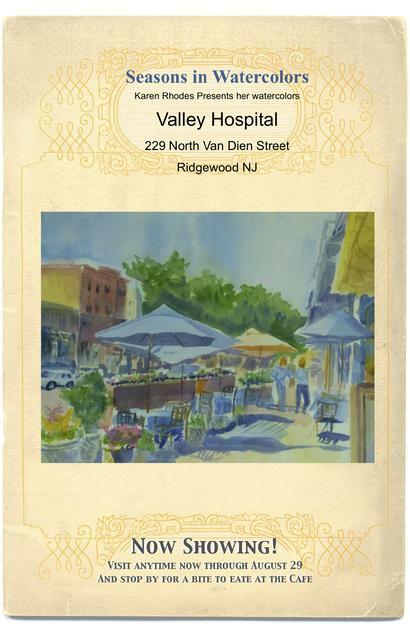 Towns and villages had identity and soul before strip malls took their toll. 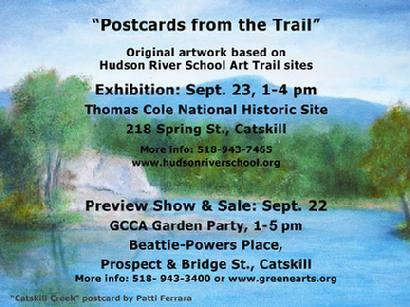 if it's an adventure I could bear and journey back in time wandering through the old Catskills of yesteryear. 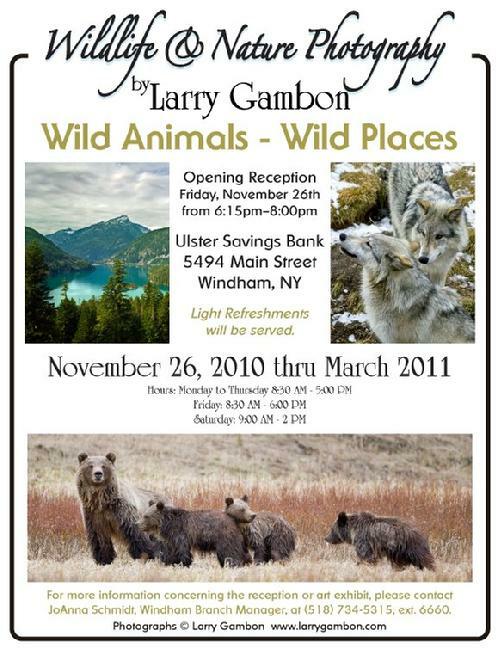 Once again Rip Van Winkle will be appearing at various locations throughout the MountainTop as part of the 2012 Rip Lives! Outdoor Art Exhibit. 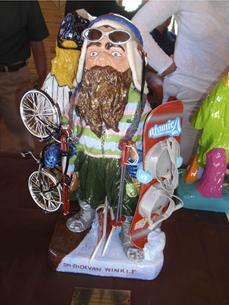 Over 50 creatively painted Rip statues will be on display in Haines Falls, Tannersville, Hunter, Windham, Ashland and Prattsville in early June. 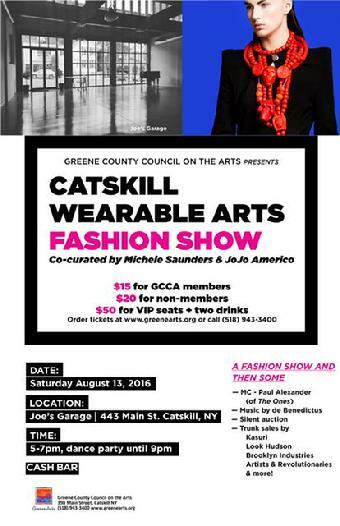 As part of this year’s event a Cat statue from the Cat n Around event in Catskill will appear on the mountaintop and a Rip statue will be placed in Catskill. “We felt joining the two events in this way would be beneficial to us all ” stated Steve Friedman, Chairperson of the Rip Lives! 2012 Committee. 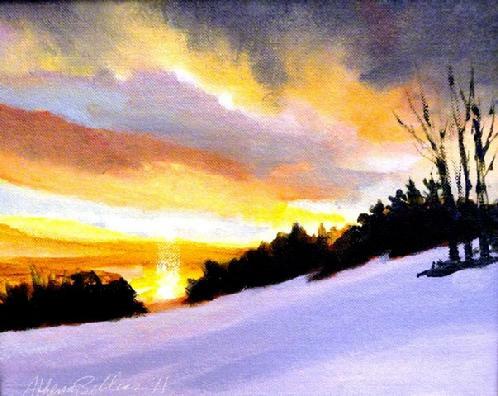 We love having one of the infamous Cat’s on the mountaintop”. 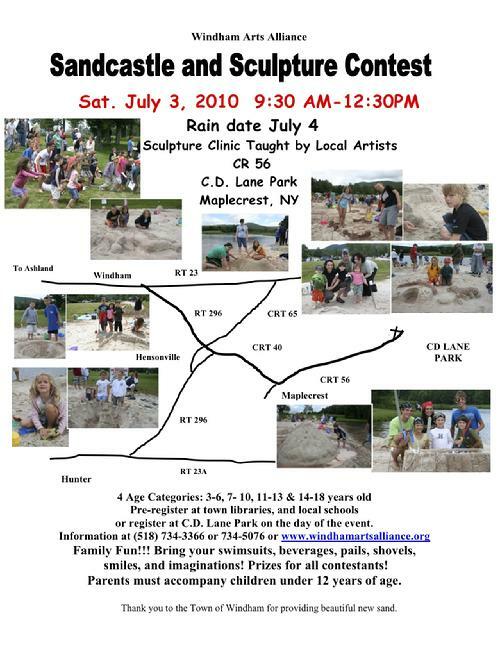 Another special feature of the 2012 Exhibit will be the appearance of the “Survivor of Hurricane Irene” Rip statues being placed in various locations. 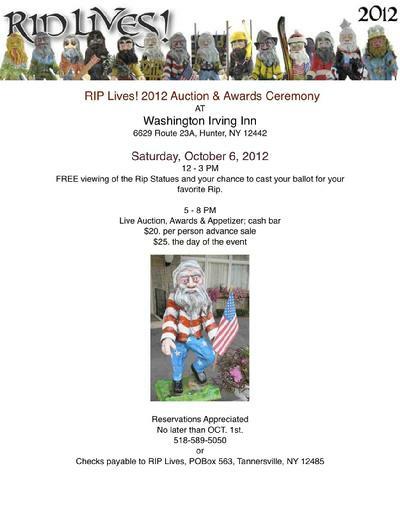 A number of Rip’s were salvaged from the devastating floods of August 2011, were given a slight make-over and will also be available at this years’ auction event taking place on October 6, 2012 at the beautiful Washington Irving Lodge. A special thanks goes to our dedicated, wonderful sponsors, and our talented artists who make it all possible, as well as the volunteer committee that works tirelessly to bring it all together. Last year, people came from near and far to enjoy the artistry of Rip Van Winkle and bask in the wonderful stories this Mountaintop holds. 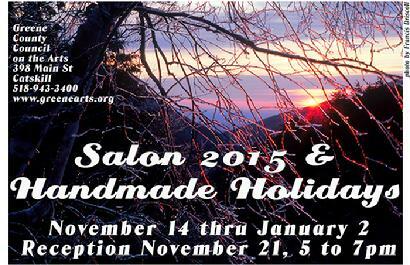 Many local businesses were discovered and patronized and our local artists were given the opportunity to shine. 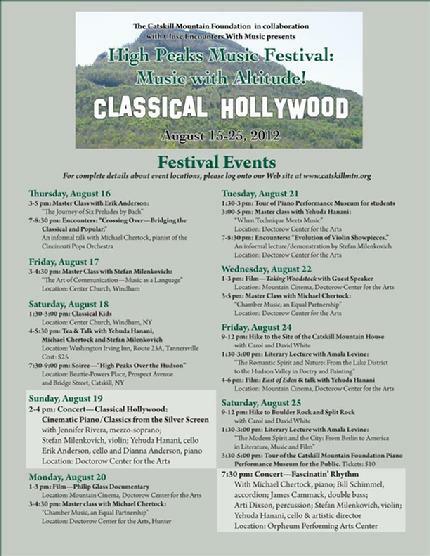 If your interest lies in learning how world famous musician teach talented young musicians to learn their trade, the outstanding Amati Music Festival at the Catskill Mountain Foundation is a unique and should be a required visit. This event occurs starting July 15th and continues until the 29th. 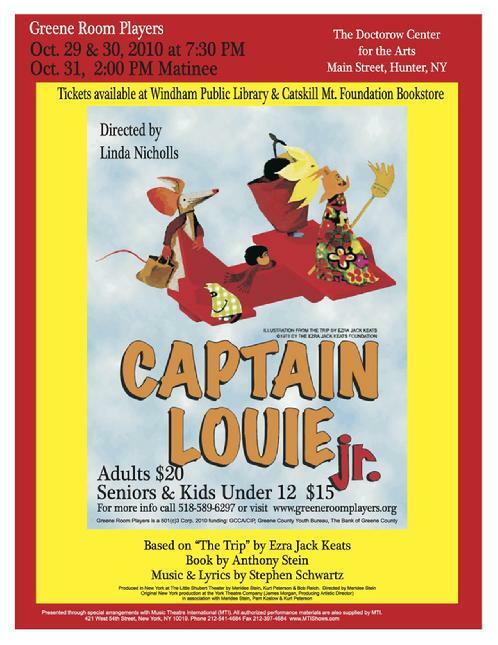 This is yet another return for this glorious Festival to the Doctorow Center for the Performing Arts. On Saturday, July 21st and 28th, FREE student recitals will take place, starting at 2pm, where these accomplished musicians can show what they have learned and their skills. That Saturday evening, at 8pm, there will be a concert of Romantic Masterworks for violin and piano, featuring the superb playing of Alejandro Mendoza, violin, and the critically acclaimed Soyeon Park, piano, in works of Chopin and Kreisler; as well as a performance by the exceptional pianist, Gerardo Teissonniere performing Schumann, Liszt and Mendelssohn. These performers are at the top of the game and must be heard. 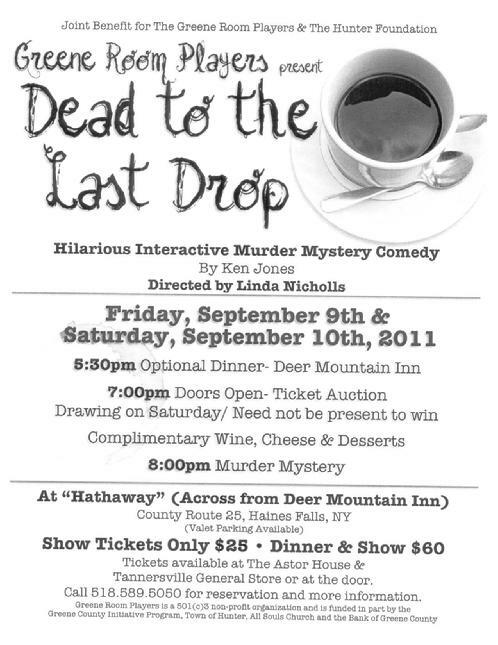 Contact www.catskillmtn.org or call 518-263-2063 for tickets and information. On every weekday at 7pm you will be treated to top caliber teaching performances as internationally-renowned classical music artists will teach and encourage highly-motivated young students from around the world, allowing them a venue for performing solo and ensemble play. 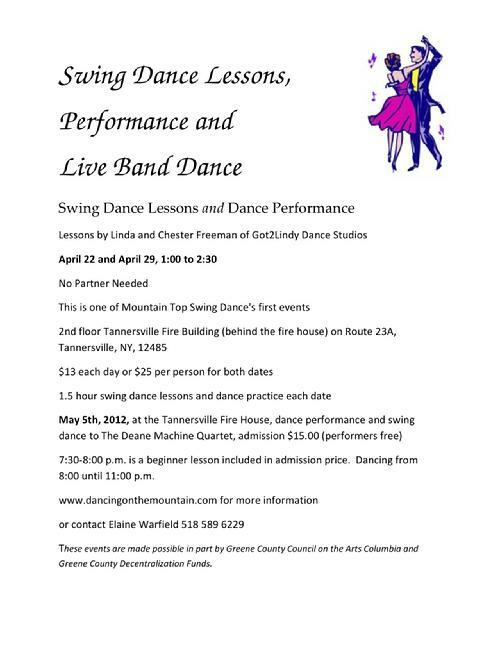 The public is encouraged to attend these free performance classes and watch how great performances are created. Under the inspiration and dedication of Mr. Alejandro Mendoza amendoza@amaticonservatory.us , the Festival’s Director, this all began in 1999 in Rosendale, NY. 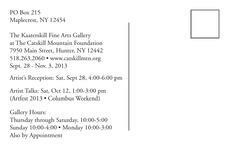 To the delight of all in the Catskill Mountains, the Festival has now found a permanent home at the Catskill Mountain Foundation in Hunter, NY, and it has become a ‘must see and hear’ experience. The partnership has flourished over the past decade, with needed practicing, performance and housing facilities provided by the Foundation and world-class performance and master classes offered to the mountaintop communities for their participation and enjoyment. 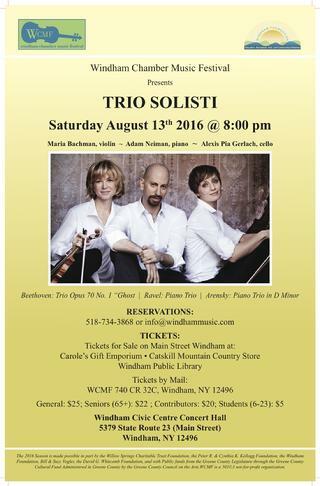 Free performances will be given regularly, open to the general public and professional recordings would be broadcast and distributed widely, making the Catskills and the Amati Music Festival an important program for any serious musician from anywhere in the world. 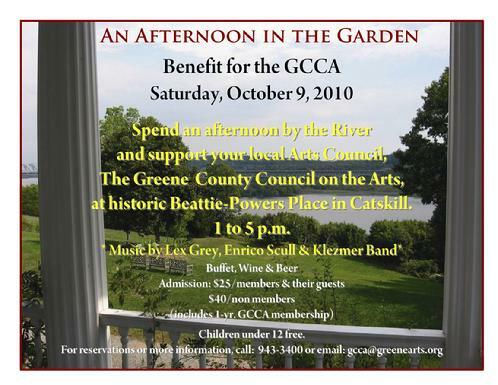 Please visit www.catskillmtn.org or call 518-263-263 for information and tickets. Come on board for an inspiring journey back in time, back to the days of narrow gauge trains transporting visitors to the grand hotels atop the majestic Catskill mountains, the steamboats and ferries cruising into the harbors, the fog horns sounding their arrival, the sounds of the anvil from the blacksmith shop and horse and buggy galloping around the countryside. The moos of the cows and the unwelcome, early morning wake up call of a rooster. Crystal clear streams, rivers and fresh air. 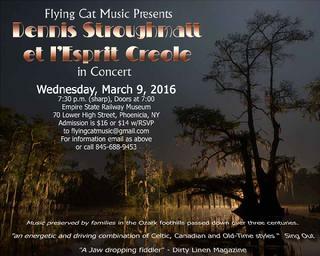 Sponsored by: Heritage Folk Music, Inc.
ballot for your favorite Rip. 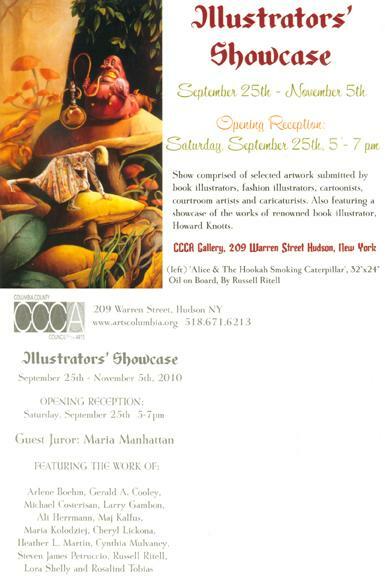 Hors d�oeuvres & cash bar. 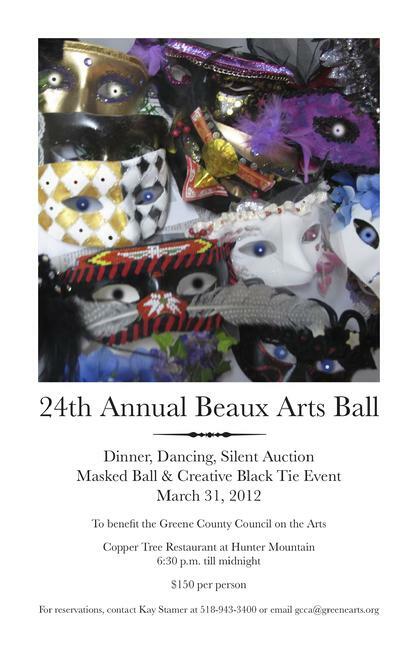 5:30-7:30pm- Live Auction & Awards. 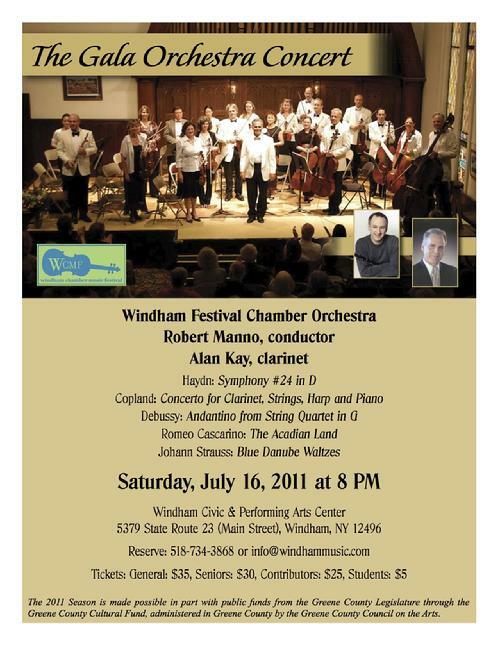 The GRP ensemble will be performing with Michael Berkeley (composer and Artistic Director of TriArts Theater in Sharon, Conn. and former resident of Lexington) some selections from his musical "Rip Van Winkle" at the auction? 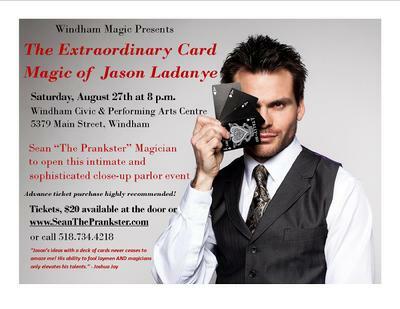 He has graciously offered his time and talent for the event. 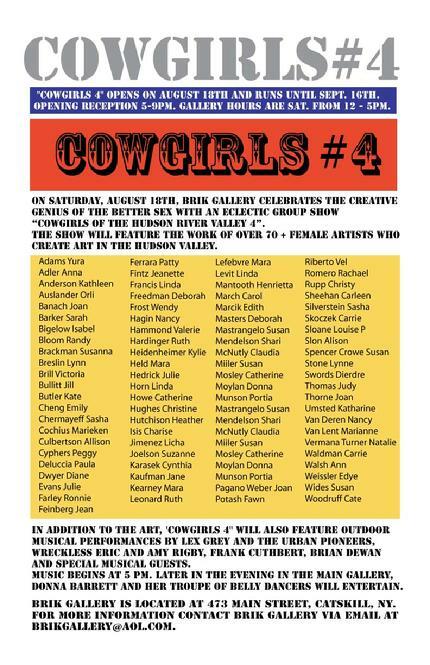 Proceeds from the auction benefit participating artists and Mountaintop non-for-profit organizations for future Rip Lives! Promotions. 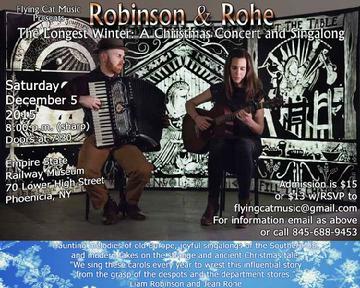 Sunday 1 PM � 5 PM. Can the hard science of geology blend with the fragile creativity of an artist? Can something that happened 380 million years ago feed the imagination of someone living today? 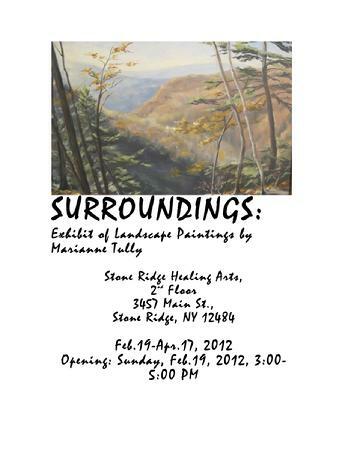 Of course, the answer is yes and from September 3 through November, residents and visitors to the Northern Catskills may see for themselves the artistic progeny that results from a unique marriage of art and science, this one using the Schoharie County town of Gilboa, NY as its backdrop. from September 8th to the end of October. 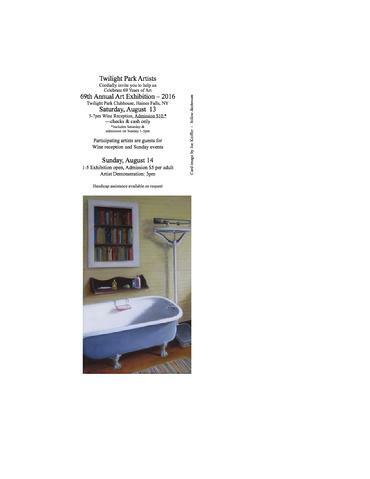 There will be an opening Thursday September 8th from 6 to 8 PM. 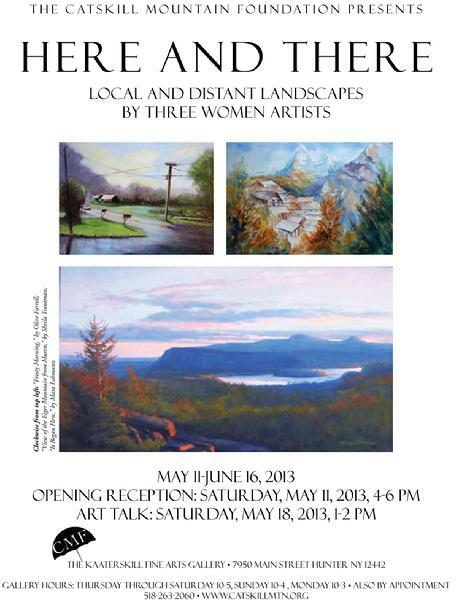 Come and enjoy Athena�s dynamic, awe inspiring landscapes and meet the artist. 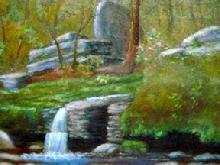 Athena has a feel and knowledge of the Catskills that provides a unique interpretation of our beautiful countryside. 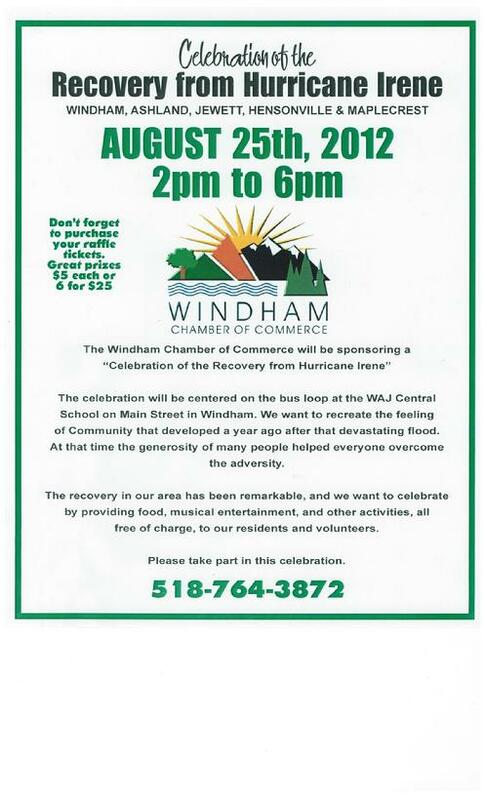 The Center is located next to Lange's Resort on route 23, the road that goes from Catskill to Windham. 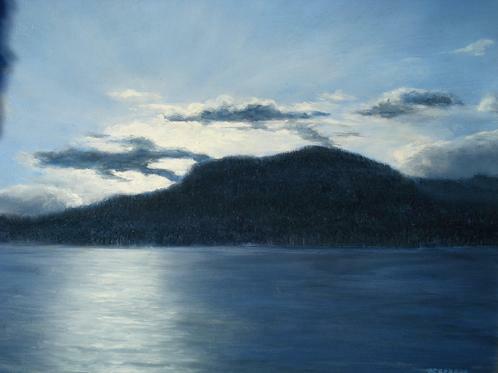 Paintings depicting the resiliency of our landscapes, despite the ravages perpetrated by man. In the Hudson River School days, unrelenting industry denuded the mountains and blew up the ledges. Trains rattled through the cloves and the streams were polluted by various money-making endeavors. Nature seems to have come a long way since then, despite man's ongoing efforts to change her. Even the machinations of the ski industry can be beautiful. BEFORE YOU WERE BORN - a memoir addressed to the author’s adult children, tells of a time when values were important and life was not very complicated. 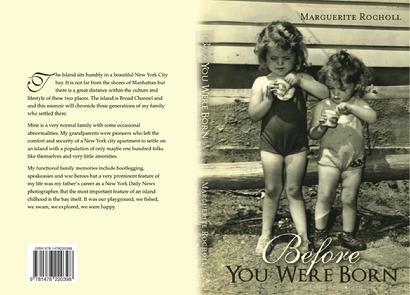 Until recently, Marguerite Rocholl might be known for her photography but this might change with the publication of her first book, “Before You Were Born, available on Kindle or Amazon.Com.